While you are considering places to stay in the Finger Lakes during your visit here, you probably assume that a hotel is your only option as far as room accommodations. It’s a fact that hotels spend a lot of money luring visitors to their doors, touting how “luxurious” the rooms are while charging you for every little extra. Maybe you’ve already looked at a few hotels and made tentative plans to stay at one. Before you pick up that phone to call hotel reservations, consider a totally different rooming option. What if you could rent a luxury home in the Finger Lakes for a few days that included spacious bedrooms, in addition to a living room, dining area and kitchen? Would that be nicer than a hotel room? You bet it is. That’s why many visitors coming to the Finger Lakes area on vacation are turning to Skaneateles luxury rentals instead of settling for the same old hotel accommodations. You know what it’s like staying in a hotel room. There are one or two beds, a dresser, maybe a tiny closet, and a bit of space for moving around. Sure, you may be on the go a lot during your stay, but you still have to come back to that dinky hotel room for relaxation and rest. And, it’s going to cost you extra if you want a larger room, especially one with a nice view – if one is even available. Tack on room service extras and your luxury hotel room isn’t much of a bargain. To truly get the most “bang for your buck” it’s a better idea to spring for a real luxury place that feels just like home. 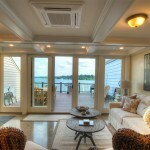 As a matter of fact, luxury rentals are considered by many to be a home away from home. That’s because when you arrive, there’s no check in desk or rows of rooms filled with strangers. When you rent out a Finger Lakes luxury home for your vacation you get to have the whole place to yourself for the duration of your stay. These comfortable accommodations give you the ultimate in privacy, which is a luxury in itself. Arrive at your rental home, close the door and kick back and do whatever you feel like. Skaneateles rentals include perks such as picturesque views, beautiful wood floors, plush furniture, fireplace and big screen TV. You also have the option of cooking your own meals inside a modern kitchen, dining at home when the mood strikes. For people who love cooking this is ideal. Or, order take out and bring it back home. Some homes have wooden decks where you can sit outdoors and relax while gazing at the nearby lake. A luxury home is just that – a place where you’ll feel cozy, warm and well rested. Best of all, you’re able to enjoy small town living, while still being relatively close to local cities and lots of fun events. So, get your vacation started out on the right foot and book a beautiful Finger Lakes vacation rental home today. There’s a lot of variety of things to do in the Finger Lakes this month. First of all, February is the month of romance, and there is no better way to celebrate Valentine’s Day with someone you love than to spend a weekend enjoying this beautiful area with a stay at one of our . Divide your time between fun activities and snuggling up close to the fire in one of our Skaneateles Lake vacation rentals. Just think how much together time you’ll get to enjoy when no one else is around, and you’ve got a whole home to yourself to do whatever you like. Groundhog Day is also this month, and everyone will be waiting on pins and needles to see if spring is coming early or winter is lasting longer. Either way, there are plenty of things to keep you preoccupied for the entire time you’re visiting. Bring your sweetheart and experience the wonderful charm of riding through the Village of Naples in a horse drawn wagon during this annual event. You’ll be able to sample a delicious bounty of local foods and fine wine during your visit. Don’t forget to stop by the Bristol Valley Theater for a special showing of the classic movie Casablanca. Also enjoy brew and brats along with chocolate covered popcorn. February 7. 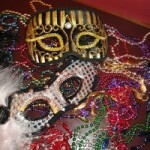 What could be more fun than celebrating Mardi Gras on a wine tour? Start your wine tour at one of four locations: King Ferry Winery, Long Point Winery, Montezuma Winery or Six Mile Creek Vineyards. Wineries are supplying guests with plenty of beads, recipe cards, local wine and a complimentary wine glass. Participate in the scavenger hunt to win a case of wine. February 7 and 8. Celebrate successful women and the spirit of a great female pioneer for women’s rights at this annual luncheon. This year’s theme is “Thanks to Susan B. We Can Reach for the Stars!” Award-winning journalist and biographer, Lynn Sherr is the keynote speaker. The luncheon is from noon to 1:30pm at the Rochester Riverside Convention Center. February 11. Savor exquisite food and sparkling wine during this four-course meal featuring the perfect culinary parings. This is a great idea for a romantic date night. Dinner is served from 5pm to 10pm. Tickets are $100 plus per person and mandatory reservations can be made in advance at 315-364-8888. February 14. Romance and more is in the air so check out some cozy Finger Lakes vacation rentals and enjoy a weekend of relaxation and pleasure.